(RRP £69.99). 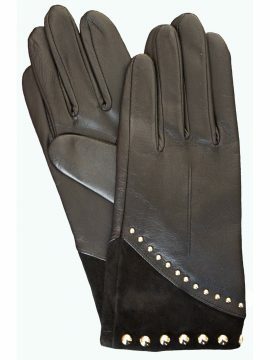 Very fine Dents ladies leather gloves in a classic design. Intended for smart wear – they are too good for just walking the dog! 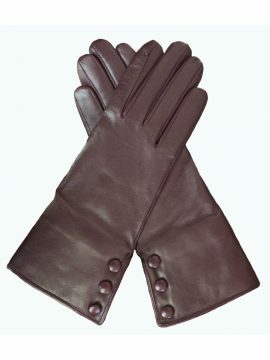 Made from finest quality hairsheep leather, they have a 3 stitch dart feature on back of the glove and a short vent at the inner wrist. Available in navy in selected sizes. Please see our Product Description for full details and important sizing information. (RRP £69.99 – our price £44.99). 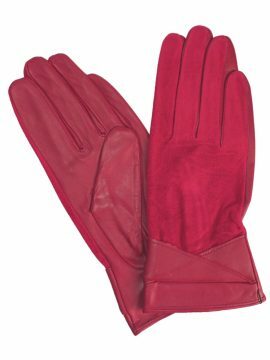 These elegant Dents womens leather gloves are in a classic style, made in finest butter soft and smooth hairsheep leather. They reach just above the wrist and have 3-dart stitching detail on the back. Available in navy in selected sizes. (R.R.P. £69.99 – our price £44.99). FINDING YOUR GLOVE SIZE: If you are unsure of your glove size, measure around the palm, in inches, of the hand you write with (excluding thumb). If you are between 0.5in measurements, round up to the next 0.5in, e.g. if this measurement is 6.75in, then your glove size is 7.0in. Our Sizing Information gives more details. 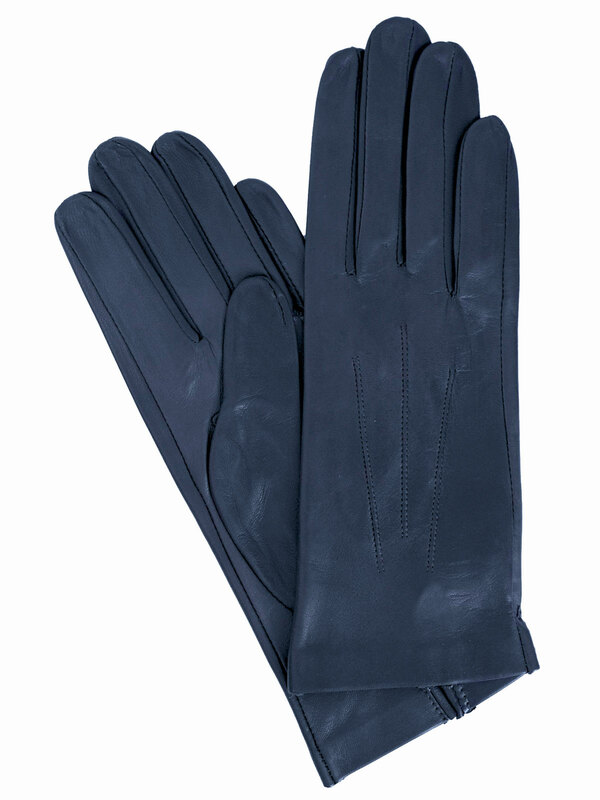 Elegant and smart short ladies black leather gloves by Pia Rossini in lovely soft lambskin leather with a two-tone fur cuff that is beautifully soft. 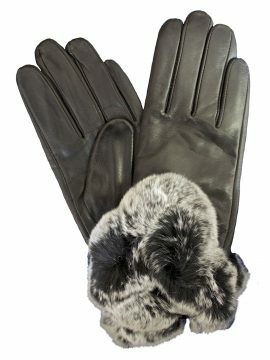 The fine soft fur-feel fleece lining gives the gloves an added feeling of softness and warmth. Please see our Product Description below for full details and important sizing information.